ALL NEW STUDENTS GET A DISCOUNT WHEN YOUR FIRST TIME SIGNING UP. CHECK OUT OUR PACKAGES! Take your fitness journey to the next level. Downdog Flow Yoga & Pilates offers a full variety of workout options to deliver optimal results. Join a bootcamp class, schedule a reformer class, or come to one of our power Yoga, Pilates, and Barre classes for a fun and challenging class. Our classes are full of high intensity workouts, unique classes, and a fun atmosphere! If you are serious about looking and feeling better, come to Downdog Flow Yoga & Pilates Studio to begin your journey. Check out our schedule to choose or combine different packages and classes. If you are serious about transforming your life, physically and mentally, you are at the right place. 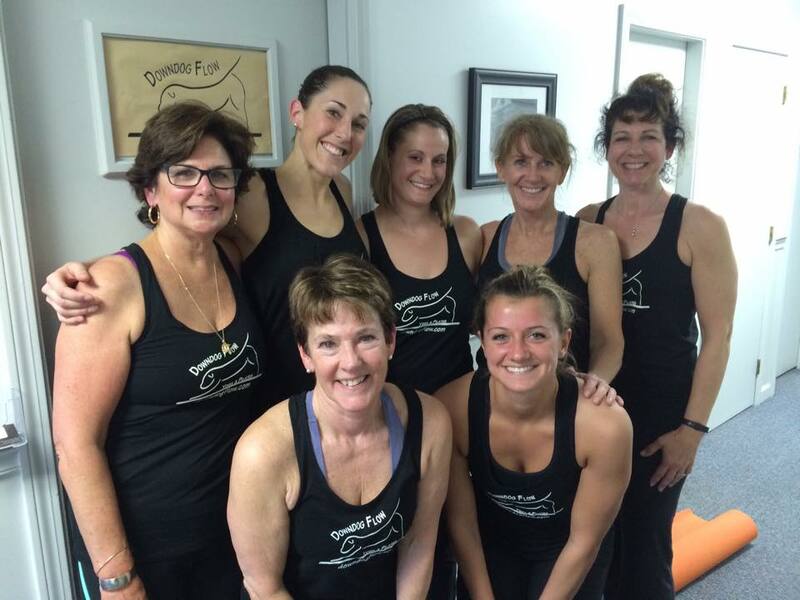 Downdog Flow Yoga & Pilates is the a full fitness and gym studio in Bedford, NH that is dedicated to each and every student by offering Vinyasa Yoga, Power Pilates, and Power Barre. All of our teachers are dedicated to challenging you to push the limits in a comfortable, supportive, and fun environment. We offer Yoga, Pilates, and Barre classes - and sometimes all three integrated in one - with optimum levels of intensity. Since all teachers offer modifications, all levels are welcome. View our classes and see what's right for you. We also offer specials to get you started on finding your journey including drop in rates, special intro rates, and if you want to really ramp it up, you can try our most popular package, the unlimited monthly pass. We are the DDYF Tribe! Downdog’s atmosphere is a truly committed, transformative, and inspirational space for all. The moment you step into the studio, you become part of the Downdog community where we all continuously support and motivate one another. Downdog also hosts workshops and events and partners with local businesses to host engaging and fun events and to encourage a healthy and fit lifestyle. As a Manduka Ambassador, Downdog offers mats and apparel to all students!